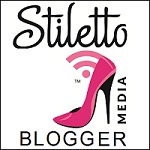 Have you noticed the recent influx of subscription box options? The monthly mail order box market has blown up in the recent months with tons of options- clothing, cosmetics, eco-friendly products and more! You name it, it can be sent to you each month in a box! If I had to choose what would be shipped to my door, it would be new gluten-free products! When I heard rumors that Find Me Gluten Free was launching a box program, I was super excited. When they contacted me about reviewing a box on The Puzzled Palate- I was thrilled! Since we started purchasing gluten-free products, we have wasted a ton of money on sub-par junk. I found myself wishing that I could just try something before committing to a full purchase! Send Me Gluten Free gives us that opportunity! The boxes include samples from companies that are eager to have you sample their wares. If we don't like one of the samples- no biggie! At least we don't have yet another bottle or box of something that we won't eat! 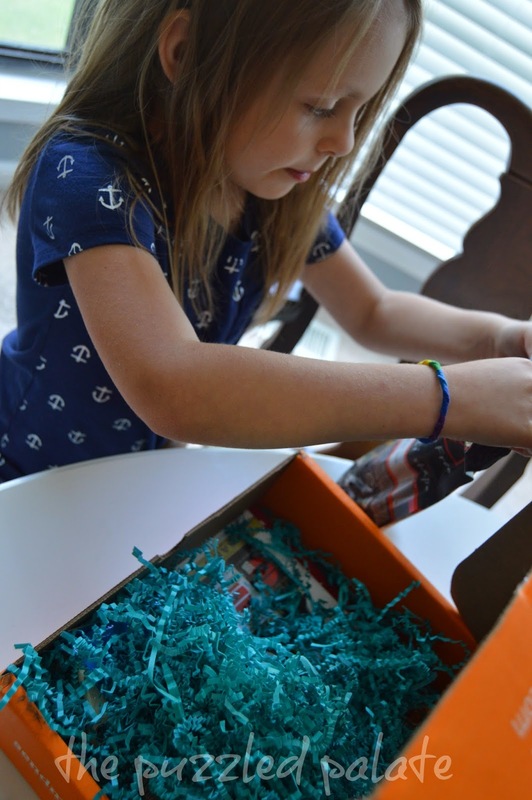 M was thrilled to come home and find our bright orange Send Me Gluten Free box! She barely gave me a second to get the camera before she started going through it! *one of our favorite GF companies! So...what do I think? I think that the Send Me Gluten Free box offers a wide variety of product samples for a reasonable price. I did like that they included two full sized products. (I can't wait to try the brownie mix!) Next time, I hope that the box includes larger samples. I am not trying to be greedy- but it is difficult to share one tiny sample with four taste testers! I do like that coupons were included for products that are too large for the box or that need refrigeration. I would recommend the Send Me Gluten Free box to anyone who is on a GF diet or thinking about going GF. I think that it is a great way to try new things that you might not pick out for yourself. Also, who doesn't like coming home to a fun box of goodies? 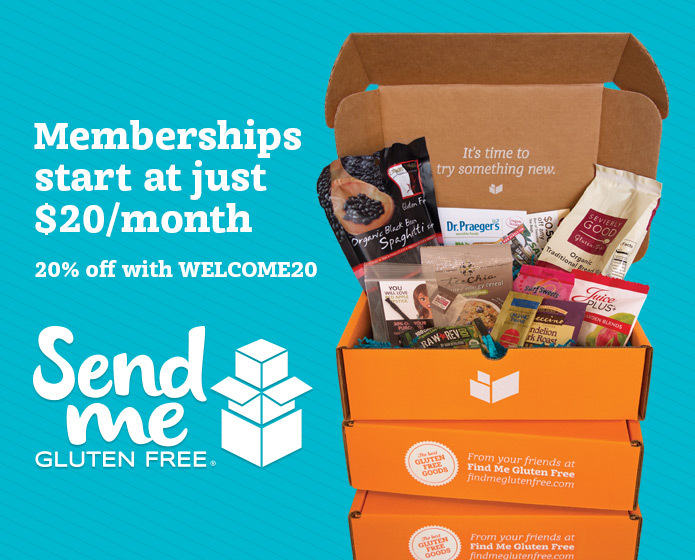 If you are interested in ordering your own box, visit Send Me Gluten Free's website and use the code WELCOME20 to get 20% off any subscription! We can't wait for our next box! 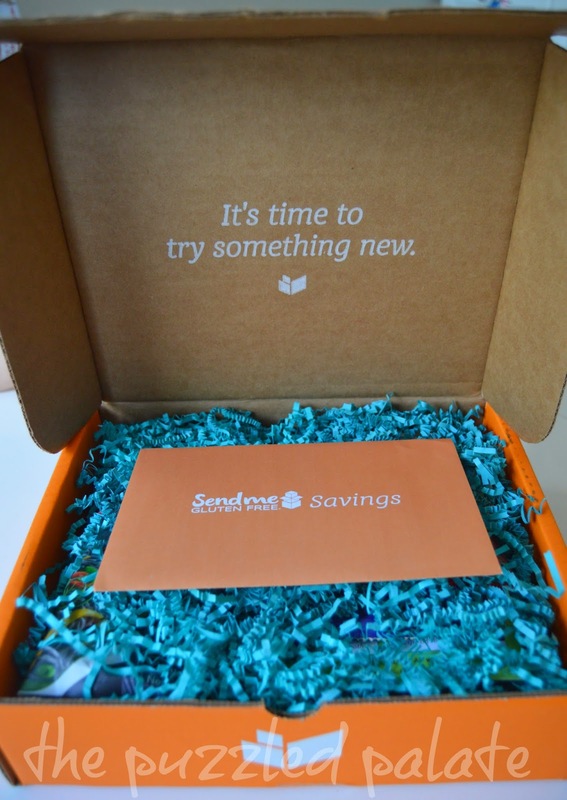 Have you ever signed up for a mail subscription box? My daughter is now 23. Only diagnosed with Asperger's at 18. It's been a long rocky road. She was a tippy toes girl. I had no idea it was a symptom. I feel so sad it was never identified as a possible symptom for autism. I even took her to the doctors and they checked out no tendon problems.. Very fair review. I like the full size products and the coupons for hot/cold items is a great idea. After ya'll taste it all, I want to hear what M and Peanut's favorite things are! Looks like fun!! Great idea T! What a great idea....there are definitely some GF things that are lacking, so it's nice to be able to try them out first! Look at all those yummy goodies! I really like some of the subscription boxes out there. Great way to try new things. That is a great concept! While no one in our family is allergic to gluten, I've been trying to reduce and find, too, that many products just aren't that good. I love this idea. There are so many people affected by a gluten sensitivity/allergy and this is a great way to try new things. So glad this is now an option! We don;t have the gluten issue, but it is so pervasive, the more options, the better! What an awesome box! This would be a great gift to someone who is new to gluten sensitivity. I love goodie boxes! 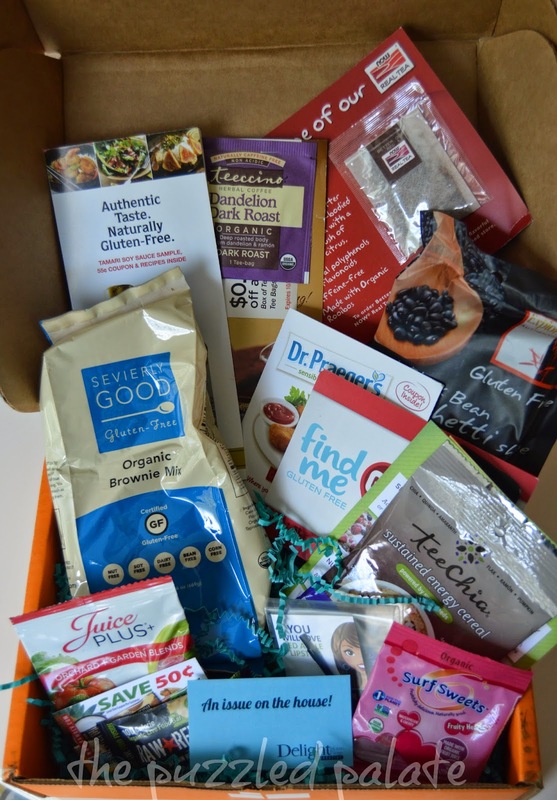 This gluten free goodie box is a great way to try new products. It's always fun to be surprised. Subscription boxes are the best! They are not only fun to open and see what you got, but you are also introduced to great products I normally would not have known about! I love receiving goodie boxes like this. I think receiving a totally gluten free box would be such a blessing for so many people. I'm so glad you are sharing this. I had no idea it was available. I love all of these subscription boxes! This one looks like a keeper. That's a huge box with lots of different options! I love being able to try something before committing to it. And a box each month is like a Christmas surprise every month! I'm entered! I hope we win. Wow, what a really neat box. The idea is fantastic! I have often wanted to try more gluten free options. I think this is a great way to sample them without breaking the bank. Great box! Well that's a fun box. I read today that eliminating gluten from a diet seems to boost energy too. That, I like! This looks like a great box! I hope I win! What a great idea! This looks like a great way for GF families to find new products. I have some great friends who are gluten-free and I think they'd love this. Thanks for sharing! What a perfect box subscription for you. Looks like a great giveaway. Oh yum! I would love to try this, I think my kids and hubby would love it. Mail subscriptions are awesome and make life so much simpler! This is a great idea. I love that the subscription boxes send products you may not be familiar with and it gives you the opportunity to try them. This is great for folks who are GF. What a great way to get to try new GF options! I get a monthly workout clothes subscription that I love. That is a great box. Lots of good items. Sounds like good stuff. I'm sure it helps to have things that you know are gluten free and you didn't have to search for them. there really is a box for everything. how fun! That box was jam packed full of awesome stuff, huh? That sounds like you got to try a lot of new foods. What? They have GF boxes now? That's so awesome, especially since you can try it before actually buying it. 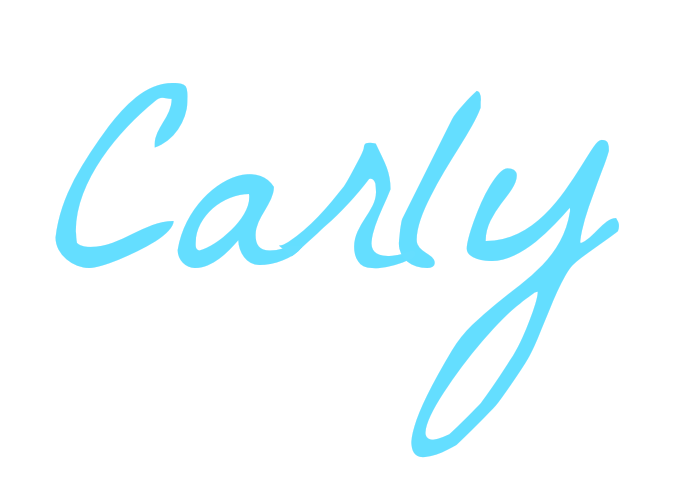 I just posted today about my first subscription box (Julep.) I'd never tried a subscription box before! This is great, though. I'd love to be able to sample so many products before throwing money away if the product wasn't what I expected! I love subscription boxes because I love getting mail! These look so fun,. and healthy! 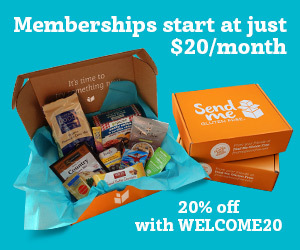 I have never signed up for a subscription box but sounds really neat! I would love to try a variety of things to see what me and my family would like! Love this concept! What a great way to discover new GF products! I can't wait to get mine! I loved this box because it had full sized products in it! Mmmm, brownies. I'll take some of those. Full sized products to try are so important to share with family!